Other photos: Port Quater Profile, Fore Profile, Aft Profile & Cover, Navigation Equipment / Dome, Flybridge Bow View, Flybridge Seating, Flybridge Helm, Flybridge Seating, Flybridge Wet Bar, Flybridge Seats & Table, Flybridge Access Steps, Flybridge Stern Access, Flybridge Stern Access, Salon, Salon, VIP Stateroom, VIP Head, Master Stateroom, Master Head, Guest Stateroom, Guest Stateroom, Engine Room, Engine 1, Engine 2, A/C unit, Engine Room, Water Maker, Generator, Photo 29, Photo 30, Photo 31, Photo 32, Photo 33, Photo 34, Photo 35, Photo 36, Photo 37, Photo 38, Photo 39, Photo 40, Photo 41, Photo 42, Photo 43, Photo 44, Photo 45, Photo 46, Photo 47, Photo 48, Photo 49, Photo 50, Photo 51, Photo 52, Photo 53, Photo 54, Photo 55. JUST REDUCED OVER 300k !!! 64 Viking/Princess 2009 !!! Owner moving up !!! Maintained with open checkbook !!! PRICED TO SELL !!! BRING OFFERS !!! Low hours, just about 700 hours and loaded !!! Paid Venezuelan Taxes and Duties !!! More info coming soon !!! SYS Yacht Sales is pleased to assist you in the purchase of this vessel. 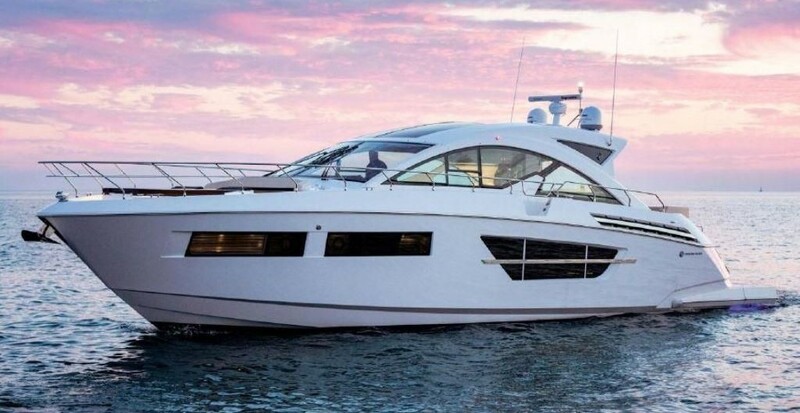 This boat is centrally listed by Interglobal Yacht Sales.